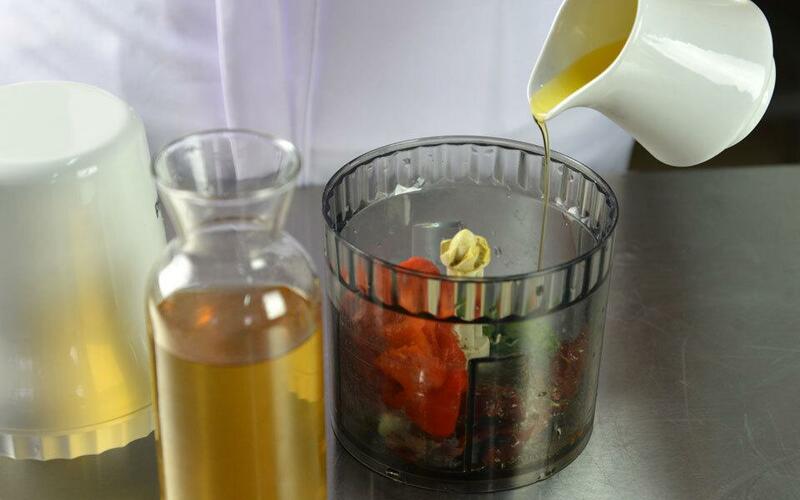 Let’s start with making sauce: wash red bell papers, wrap them in foil and bake on 180 degrees for 10-15 minutes. Take out seeds and skin of paper, blend with lemon zest, almond, nuts, garlic, oil, vinegar, sun dried tomatoes, basil, red pepper flakes, paprika, oregano and salt. 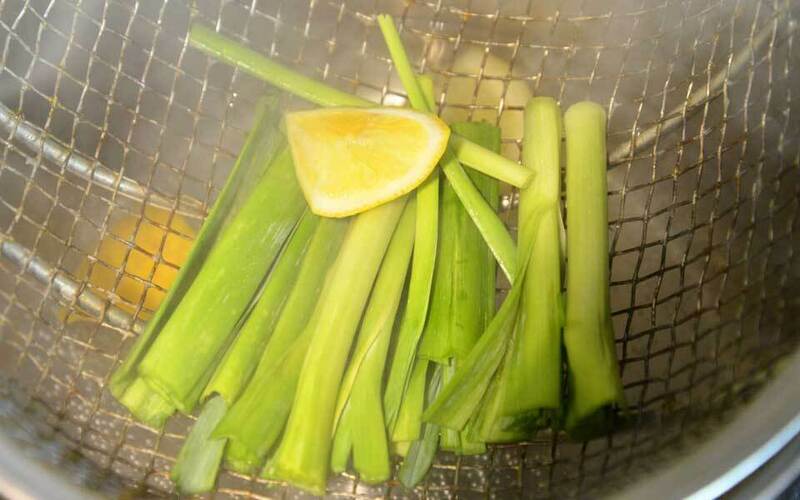 Wash the leeks (it’s better to use foreign ones, they have less specific taste) and place it on a steam bath for a while, with lemon. Also you can put the leeks in boiled water for a few minutes. After that fry the leeks on grill with a bit of oil and lemon juice. 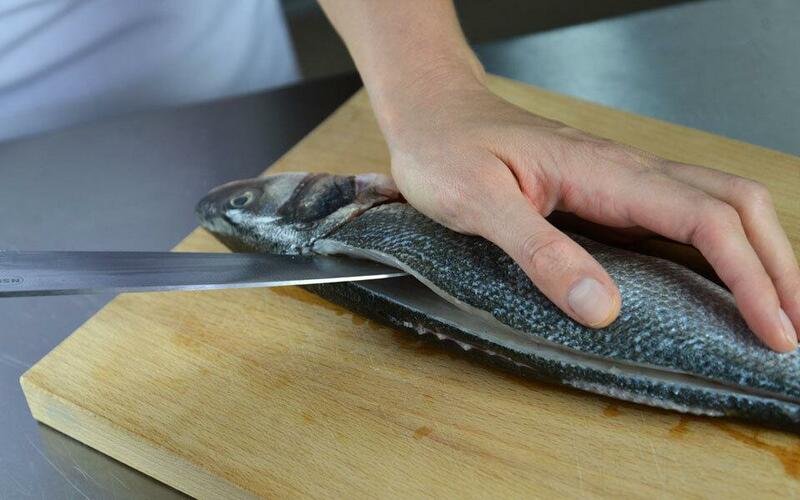 Clean the fish from fins and cut out the fillet. 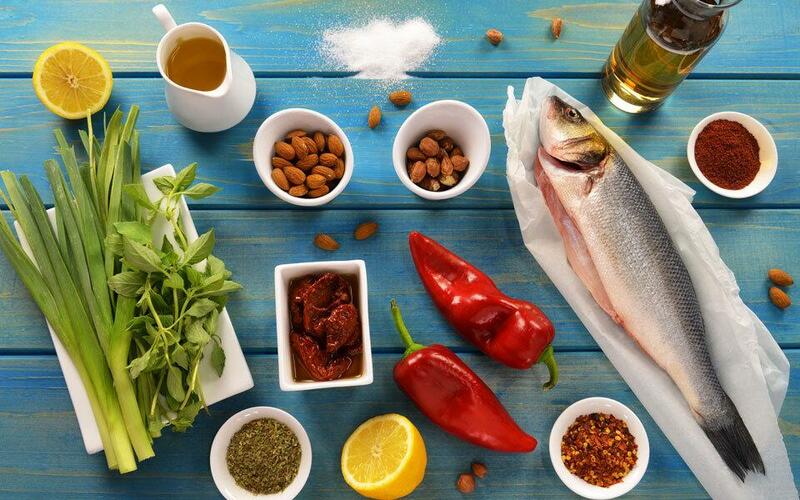 It’s up to you – whole fish can be used also. If you decide to fry fillet, then cut it vertically on several places, add some salt and oil. Fry from the side of the skin for about 4 minutes, then – from the other side. 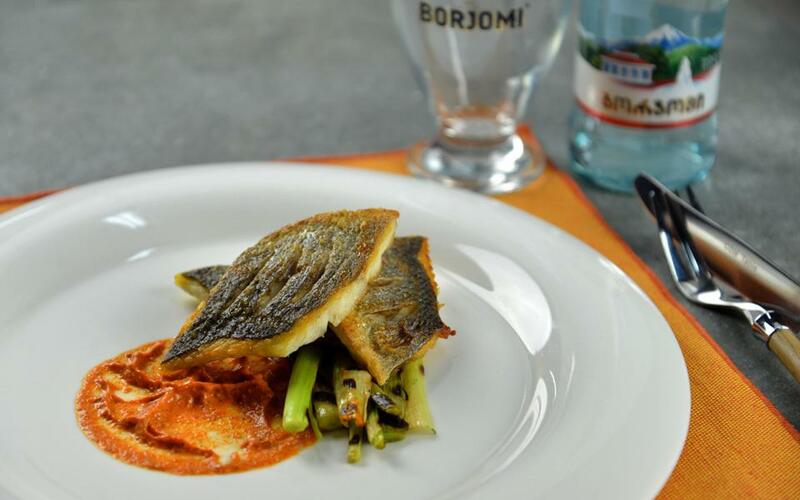 Put the leeks on the plate, then place the fish. Pour with sauce or put it on the side.